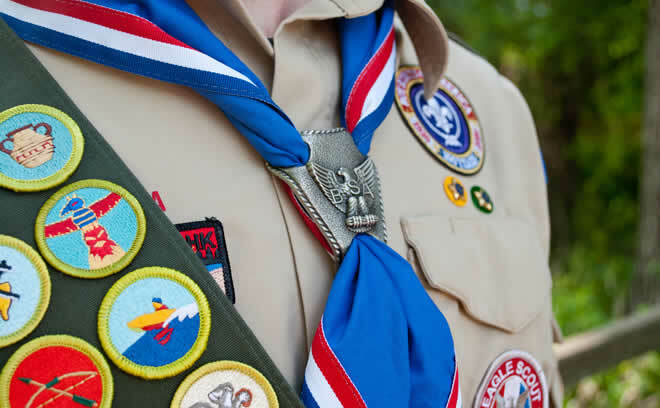 For over thirty years, the St. Peter’s United Methodist Church Men’s Ministry in Wellington, Florida, has sponsored the scouting programs of Boy Scouts of America. We are proud to sponsor scouting units for boys and girls aged 5 years through 17 years. Please visit a meeting to learn more about our scouts. If you are searching for other scouting units in the western communities of Palm Beach County, please go to www.BeAScout.org. For more information about Boy Scouts of America, please go to www.Scouting.org. Cub Scouts is a family scouting program for boys and girls starting in kindergarten through 5th grade. Scouts complete adventures to earn rank badges each year while having fun, learning, and making friends. As a family program, Cub Scouts promotes family participation by encouraging the entire family to join camping trips, events, and meetings. To learn more about our Cub Scout pack, please go to our Cub Scouts page. The Boy Scout program will be officially renamed Scouts BSA effective February 2019, however it will remain the same program it has been for over a hundred years. The purpose of Scouts BSA is to promote character and leadership development while at the same time enjoying the outdoors and learning practical life skills. For more information about our boys troop, please go to our Scouts BSA – Boys Troop page. Boy Scouts of America will officially welcome girls aged 11-17 to the Scouts BSA program effective February 2019. Girls will have the same opportunity to participate in the “game with a purpose” and learn leadership development, outdoor and practical skills, while having fun and creating memories. For more information about our girls troop, please go to our Scouts BSA – Girls Troop page.